I've been fortunate to have found my husband years ago, and we have a very loving relationship. But love isn't always easy to find. I had a chance to read a book called Love Match: The Art and Science of Finding Your Ideal Partner. It's not just about finding the right mate, though, but also about keeping that relationship strong. 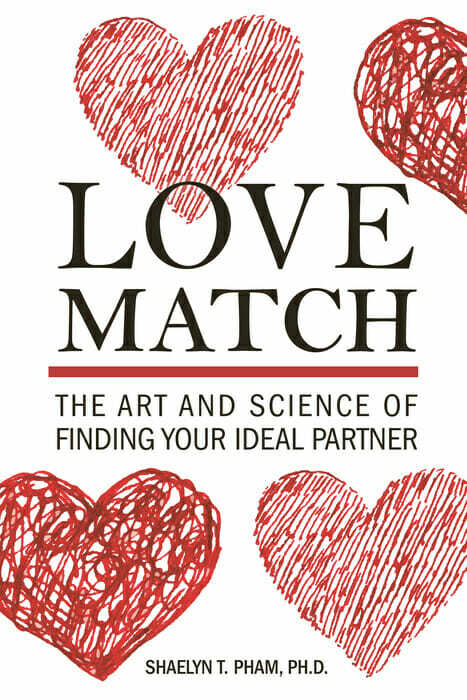 Developed and written by "love doc" Shaelyn Pham, Ph.D., Love Match helps you find true, healthy, meaningful love—the kind that enriches your life and creates new opportunities for personal growth and happiness. The book includes the different types of intimacy, the difference between love and attachment, love languages, managing conflict, and even advice on finding love after loss or heartbreak. -Why did you decide to write this book? After spending over a decade working with individuals struggling to find their ideal love match and couples that have fallen out of love, I discovered noticeable patterns and common themes to their success. It would be irresponsible of me not to share with others what I have done to help them find happiness. It's like finding the cure for cancer and not sharing it with the world. -How can it be helpful for people to learn the science behind finding a match? The science behind finding your love match is like a blueprint. It's easier to create what you're looking for when you have the blueprint for it rather than trying to reinvent the wheel or shooting in the dark. -Why is it also partly an art? Psychology is a social science and when it comes to emotions, it's more delicate and intricate than 1+1=2. Try to think of this science as a road map; however, even with road maps, there are detours or scenic routes that you may want to take. The art is the beauty and flexibility that you must allow when it comes to love because it's not just a matter of your head and logic but it's also a matter of you heart and feelings. Shaelyn Pham, Ph.D., "The Love Doc", is a licensed psychologist, author and speaker with a doctoral degree in clinical psychology. She has a busy private practice in Los Angeles, CA as the principal and founder of Psychological Services & Holistic Health, Inc., where she enjoys helping her clients find love and success in all areas of their lives. Dr. Pham has been practicing psychology for over a decade and has helped thousands of people. She is the author of The Joy of Me. Writing and admission essay could be a stressful and challenging task. But you can always get some help with writing an admissions essay here guys.